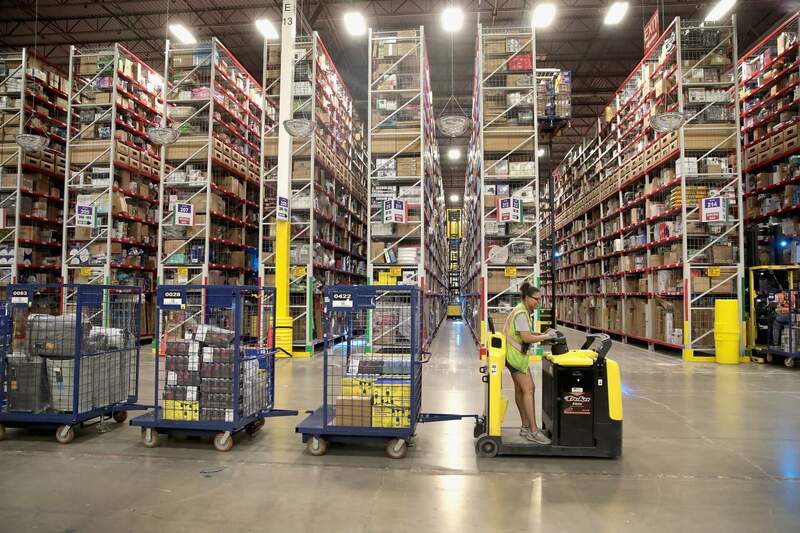 In brief: Amazon's safety policies have been brought to the forefront after an accident in a fulfillment center leaves several hospitalized. Over 50 people were affected by a ruptured can of bear spray. No fatalities were reported, but one employee was listed in critical condition. The employees were taken to five hospitals to be treated for exposure to concentrated capsaicin. Capsaicin is the organic chemical that makes chili peppers hot and is the active ingredient in pepper spray. ABC News notes, one of the workers was listed in critical condition. An additional 30 employees were treated at the scene by first responders. Amazon issued a statement Wednesday night stating that employee safety was its number one concern. Today at our Robbinsville fulfillment center, a damaged aerosol can dispensed strong fumes in a contained area of the facility. The safety of our employees is our top priority, and as such, all employees in that area have been relocated to a safe place and employees experiencing symptoms are being treated onsite. As a precaution, some employees have been transported to local hospitals for evaluation and treatment. All of the impacted employees have been or are expected to be released from the hospital within the next 24 hours. The safety of our employees is always our top priority, and a full investigation is already underway. We’d like to thank all of the first responders who helped with today’s incident. The warehouse was evacuated and vented. Nalbone said that no danger was imposed on the surrounding communities as the fumes dissipated. Workers were given the okay to return to work later Wednesday evening. The accident has brought questions into Amazon’s safety practices and the use of robots in the workplace. Amazon’s fulfillment center workers are not unionized, and the company has been criticized for unsafe working conditions and low pay both here and overseas. The Guardian states that in the United Kingdom alone, EMTs were dispatched to Amazon warehouses at least 600 times between 2015 and 2017.
Business Insider reported back in April that the National Council for Occupational Safety and Health listed Amazon as one of its “dirty dozen” companies. The report notes that seven Amazon employees have died on or near the job since 2013. Amazon maintains that it has strict safety guidelines and denies poor working conditions.